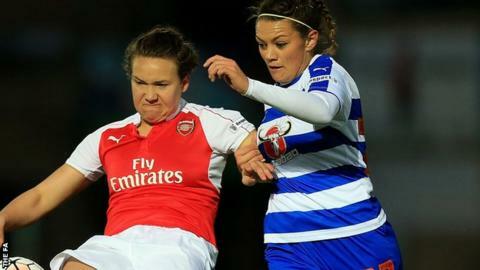 Wales defender Nia Jones has left English Women's Super League One club Reading at the end of her contract. The 24-year-old's departure comes after Wales' all-time record goalscorer, 30-year-old striker Helen Ward, also left the Royals earlier in December. Former Cardiff City player Jones is a dual sport international for Wales, having also previously played netball. "I'll leave with fond memories of how we achieved our team objectives in consecutive seasons," she said. First-team squad members Shelly Provan, Lois Roche, Amber Stobbs, Laura-May Walkley and Equatorial Guinea international striker Jade Boho-Sayo have also left the club since the end of the 2016 season.